Houston was ranked the No. 2 city in the country for construction gains, according to a recent article by realtor.com. 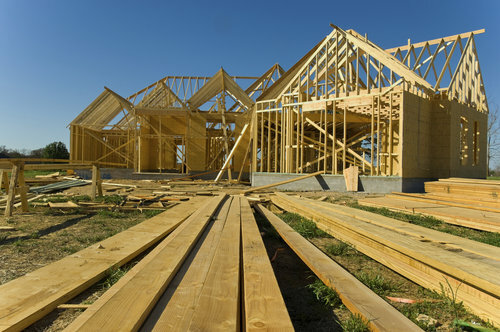 Despite a nationwide slowdown in construction, Houston was one of several cities in the US that saw an increase year-over-year in the number of residential construction permits approved. Permits examined by Realtor.com included those for single-family homes, condos, apartments, townhouses and duplexes. Houston had 57,021 permits approved over the past year, a 33.6 percent increase over the number from 2018. The city’s median list home price also was recorded at $310,000 in February of this year, a 1.3 percent increase from last years median price of $306,000, according to Zillow. The Census Bureau recently released a report for February 2019, showing a shortage of homes on the market. Despite a national drop in construction of new homes, a few cities have still been able to push permits for new residential housing. Realtor.com compiled a list of the top 10 cities with increased construction over the past year, citing census data, to see which cities awarded the most permits for new residences. Reports have shown that housing affordability is the lowest it has been in years and the number of housing starts has decreased nationally, making it difficult for buyers to find affordable housing. Topping the list was Dallas with 63,421 permits for new residential construction, a 2.8 percent increase from last year. Coming in second was Houston with 57,021 permits for new construction pushed through, a whopping 33.6 percent increase from February last year. The two Texas cities were followed closely by New York, Atlanta and Phoenix, all of which saw 30,000+ building permits approved.